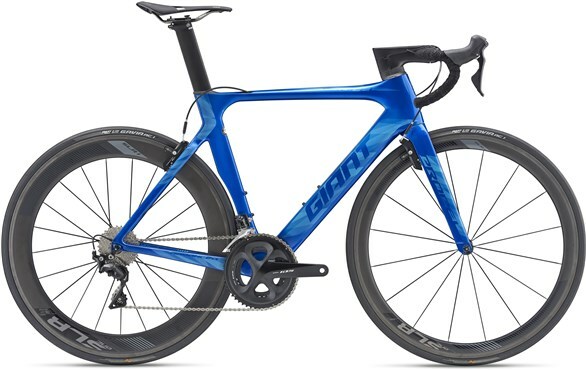 A perfect blend of aero efficiency and all-round ride quality, the Giant Propel Advanced Pro an aero road bike for anybody who wants proper road speed - road racers, triathletes and speed demons. 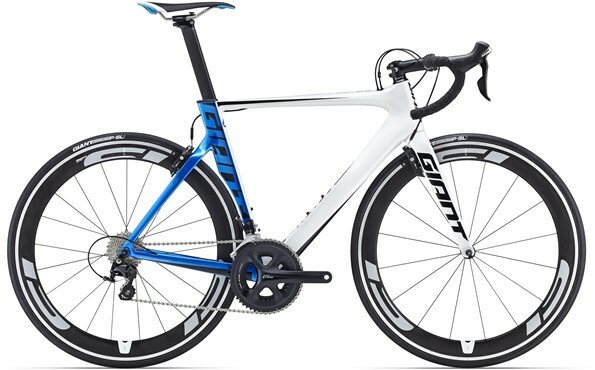 Key to the race winning performance of the Propel aero racer is Giant’s Advanced Grade composite frame. 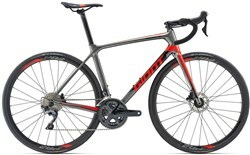 Only the highest grade raw carbon fibres are used, because of their high stiffness to weight ratio. The resin incorporates vibration damping particles to keep you feeling less fatigued as you clock up the miles. The 2016 Propel Advanced Pro 2 is race ready, right out the box with advanced Aerosystem shaping technology. Each tube is optimised using CFD (computational fluid dynamics) and honed with wind tunnel data. By combining these technologies air turbulence is minimised around the frame for incredible speed. Down low is Giant’s oversized bottom bracket area (PowerCore) that provides solid stiffness that won’t budge when you’re putting the power down. Upfront front is an OverDrive steerer and full composite (advanced grade) carbon fork for ultimate stiffness and knife edge steering. Matched to the superb frame is an 11 speed Shimano 105 groupset with mid compact cranks. Giant’s SL 1 Aero wheelsystem feature a deep 55mm rim profile helps you slice through wind while the carbon / alloy hybrid rim reduces weight. The tyres are specifically made for these wheels. Firstly, a fantastic experience purchasing this bike from Giant next door to Tredz (same company). 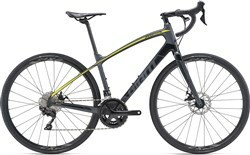 The acceleration of this bike is great, light and nimble but feels strong and confident on the road. The detail in the finish is spot on, no rough edges. Brakes are really nice and modulate well with the help from the 105 shifters. Overall I am thrilled with this bike and the shop. I will certainly be going back to them. Took delivery of my Propel Adv Pro 2 and really pleased with it and a great build from Tredz. This is my first all-carbon bike and it really is so light! The ride is very smooth and the wheels finish it off nicely. Maybe could have routed the cables off the handlebars differently but the rest of the bike more than makes up for that small negative. Still getting used to the aggressive ride position but when you get the bike up to speed you soon forget about it and enjoy the ride. The 105 groupset is good enough for me too with smooth gear changes. It's a real looker out on the roads and draws some admiring glances, the white is actually pearlescent which is a nice touch and the blue is a rich metallic which doesn't always come across in photos. All in all very pleased, would highly recommend and worth every penny.